María Pilar Alguacil Marí is Professor of Financial and Taxation Law at Valencia University at the Department of Financial Law and Law History and Institute of Research on Social Economy, cooperatives and entrepreneurship IUDESCOOP. She holds a degree in Law, and a PhD in Tax Law from Valencia University with a thesis about the” pay-as- you- earn” withholding tax on income, which won the Special Award of the year 1993. Her research has focused on taxation of social economy businesses such as cooperatives, non-profits, associations, foundations and mutuals, specially on corporation tax, as well as on issues arisen by the conflict between European rules and the Member States taxation framework. One of this fields of expertise would be the state aid incompatibility provided in the European Union treaties. 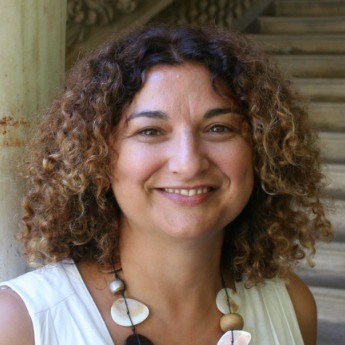 She is very experienced in leading coordinated projects about Social Economy and Social Businesses in Spain. She is a member of the research association CIRIEC- Spain and headmistress of the course “Taxation and acccountancy of cooperatives”. She is also the Director of theIUDESCOOPConsultantsservice,as an expert ontaxationof cooperatives andsocial enterprises. The accusation to the special regime of taxation for cooperatives, which could be considered unfair competition for the rest of undertakings, is not new. As a result of this, the European Commission has expressed its concern in some Decisions and actions related to some elements of the special tax regimes for cooperatives in Italy, Spain, and France. Also, the European Court of Justice delivered one ruling in the subject, the Paint Graphos of September 8, 20113. So we can extract some ideas about the boundaries of tax treatment of co-operatives imposed by theState aid regime. This is the last update of the question, already treated by the author in previous works such as ALGUACIL MARÍ, M.P. (2004) “Il trattamento fiscale delle cooperative alla luce del regime europeo degli Aiuti di Stato”, Rivista Di Diritto Tributario Internazionale Italy, and ALGUACIL MARÍ, M.P. (2011),”Fiscalidad de cooperativas y ayudas de Estado: parámetros de una reforma”, Documentos Instituto Estudios Fiscales, Ministerio de Economía y Hacienda, Spain. Alguacil Marí, M.P. (2013) Current problems in Spanish taxation of social cooperatives. An European perspective. In: EMES-SOCENT Selected papers Conference If not for profit,for what and how? July 2013. The Spanish tax treatment of social cooperatives is similar to the rest of cooperatives, not taking any notice of the fact of their specific features, such of the non-profit goals, or the social services they provide. They are not subjected to the regime applied to the non-profit Entities, such as Associations or Foundations (Law 49/2002), but to the one applied to worker’s cooperatives, or services cooperatives (Law 20/1990). One of the questions raised would be if the application of the tax treatment of non-profit entities would be compatible with the European rules on State aid. So sometimes these cooperatives may not meet the requisites of the tax law to get the tax benefits of cooperatives, as they are thought for another kind of cooperatives in Law 20/1990. On the other hand, some of the requisites are contrary to the goals aimed by Social business initiative, such as the participation of the European social entrepreneurship funds, contemplated in the proposal of the Commission of December, 2011. And they are a drawback also on the sustainability of the cooperatives themselves. Alguacil Marí, M.P. (2012) Empresas sociales y políticas europeas: los servicios sociales de interés económico general (Social Business and European Policies: Social Services of General Economic Interest). In: CIRIEC-España Revista jurídica de economía social y cooperativa Número monográfico Empresas sociales y Economía social, Spain. Social enterprises and their activities have a bearing on a number of European Union policies, as highlighted in the recent Communication from the Commission on this type of venture. Also, public support or special tax treatment for such companies, particularly when they provide social services, may be relevant in relation to European competition law, especially regarding the treatment of State aid. Classifying these social services as services of general economic interest has an undeniable impact on the legal treatment of such aid. The worker’s owned enterprises (worker cooperatives and worker societies) carry out social and economic goals valued by the Spanish Constitution and the European primary law. This characteristic would justify a better tax treatment, which would take notice of their specialties and the handicaps provoked by their structure and organization, as much as because their small size. The current fiscal regimen, however, doesn’t fulfill these criteria. The paper points out the constitutional and European parameters for a change in this fiscal regimen. Alguacil Marí, M.P. (2007) La tributación de las sociedades laborales (Tax Treatment of Labour Companies), Aranzadi 2007. In the context of employment and welfare state crisis, the aim of this project is to research the potential of firms belonging to social economy. In this line, firms can grouped in 3 types: self-employment firms, social firms that carry out social services and mutualist firms. The perspective of the research is holistic: we focus on legal systems and public policies, as well as organizational aspects, in order to characterize social firms, to measure efficiently the social component of the firm, and the benefits in terms of firm performance and welfare state. The aim of this project is to study the statutory and tax regulations, as well as the design of public policies, analyzing how social firms contribute to welfare state. Basing on the definition on social firm developed in subproject 2, in this subproject we detect possible anomalies in the set of regulations and public policies, and their effects in the firms. Likewise, proposals of improvement will be developed in order to improve the effectiveness in carrying out services and the job creation. These aims are studied in different levels: local, national and european. The objective of this research was to analyse, from two perspectives, the extent to which social economy organisations are taken into account in government policies. The first of these perspectives is that given the geographical decentralisation of government, this subject should be investigated in relation to the European Union, national and autonomous region spheres. The second addresses two prominent aspects of the relations between government policies and the social economy:on the one hand, the use of social economy organisations as tools of government policy, and on the other, the existence or otherwise of a specific policy to promote the social economy because, owing to the particular way it operates, it meets these public benefit goals. The aim of this research was to determine the importance of the social economy in the fiscal and financial policies of the nation, in the light of the division of powers generated by the geographical decentralisation of political power. Examination of the effects of this division of power will be followed by an analysis of the role played by financial operations as applied to the social economy in two key areas of public policy: employment policy and social cohesion policy. In particular, this will entail studying the fiscal system applied to types of organisation that are considered particularly suitable for fulfilling these policy objectives. The problems that arise from the tax treatment of European social economy organisations and the efficiency and reasonableness of the current fiscal system for social economy entrepreneurial organisations were also analysed. Non-profit organisations were the subject of specific treatment. Finally, attention was paid to the limitations that competition law imposes on fiscal policies and direct aid.